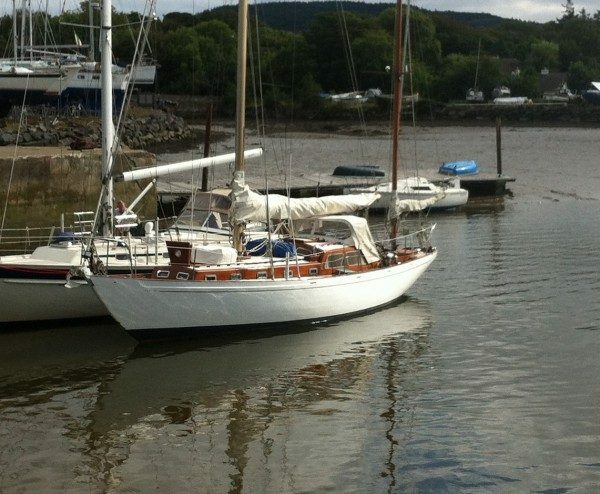 Sail: Yawl Rig set 794 sq. 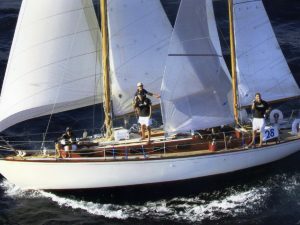 ft.
Jack Laurent Giles (1901-1969) was certainly one of the most influential yacht designers of the 20th century, the firm Laurent Giles having produced over 1,300 designs. Many are bespoke creations, beautifully designed and much coveted. Famous production yachts include the Vertue Class, Wanderer Class and later Westerleys. 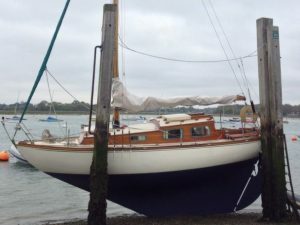 Scythe was built in 1962 to one of Jack’s designs by Cardenell Brothers Yacht Builders in Maylandsea, for P B Frost of Warners Farm, Great Waltham, Essex and has since proven to be a successful passage-maker offering safe family cruising with stunning looks. 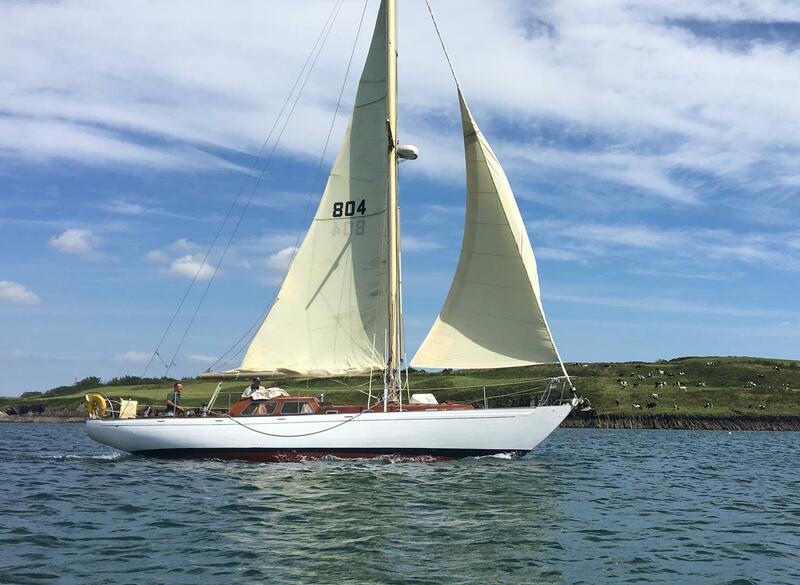 In 1969 Scythe was altered from sloop to yawl rig, racing under the number 804, although now for cruising comfort sailed as a sloop. P V C Colebrook of St Margaret’s Bay, Dover acquired Scythe in the late 1960’s stationing her in Dover in the 1970’s and during the 1980’s in Lymington. 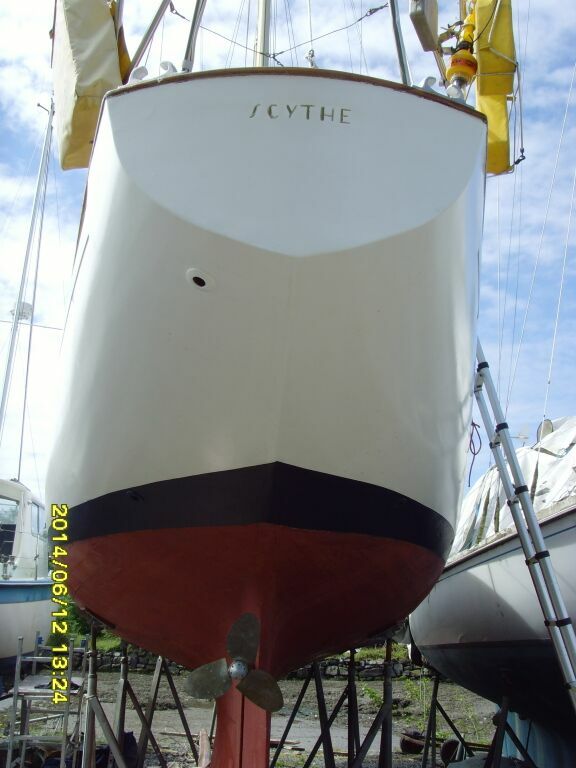 In the current ownership, Scythe has been meticulously maintained with a chronological list of re-fits available. 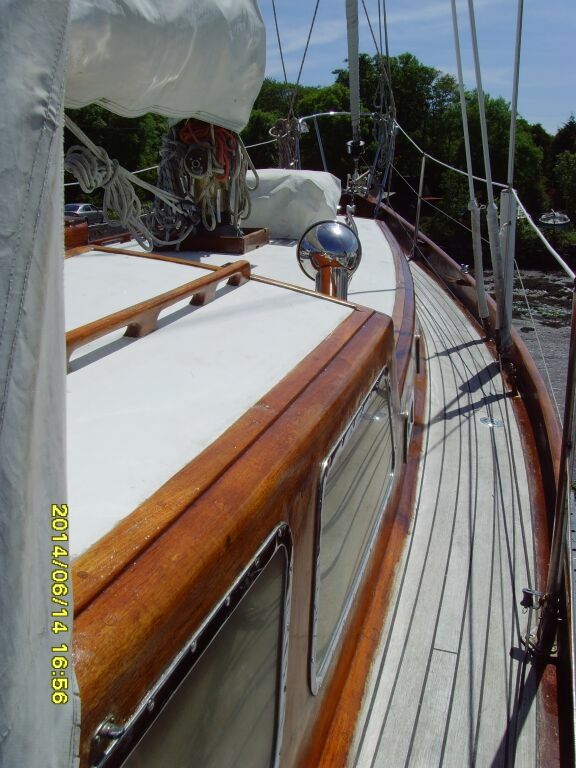 This includes new teak deck 2001, all deck fittings re-chromed 2001. Re-fastened below water-line in 2000. 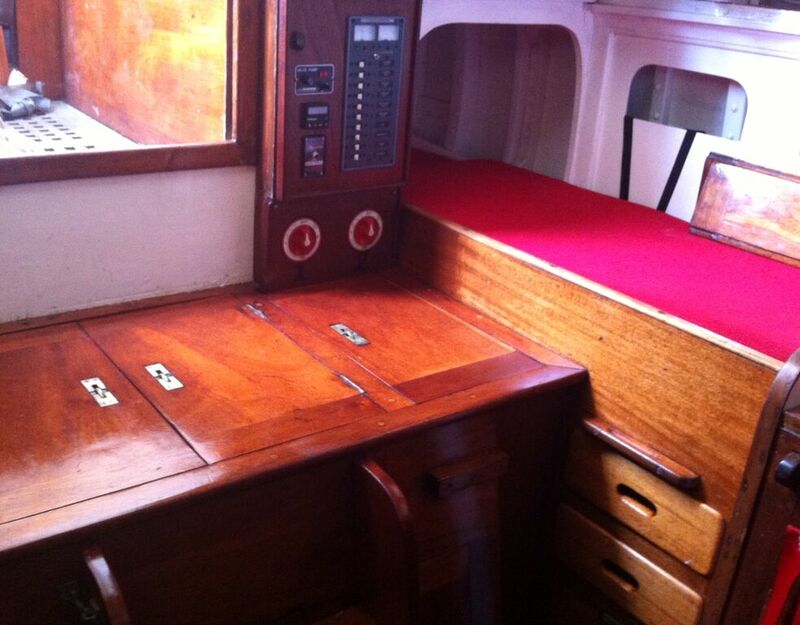 Internal joinery refinished in 2006. Hood-ends re-fastened in 2006. Stern-tube re-engineered in 2006. 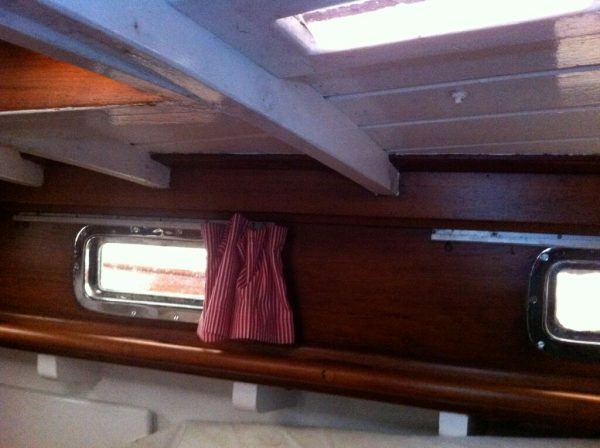 Teak planked hull on oak frames. Solid grown teak floors, bronze fastened. 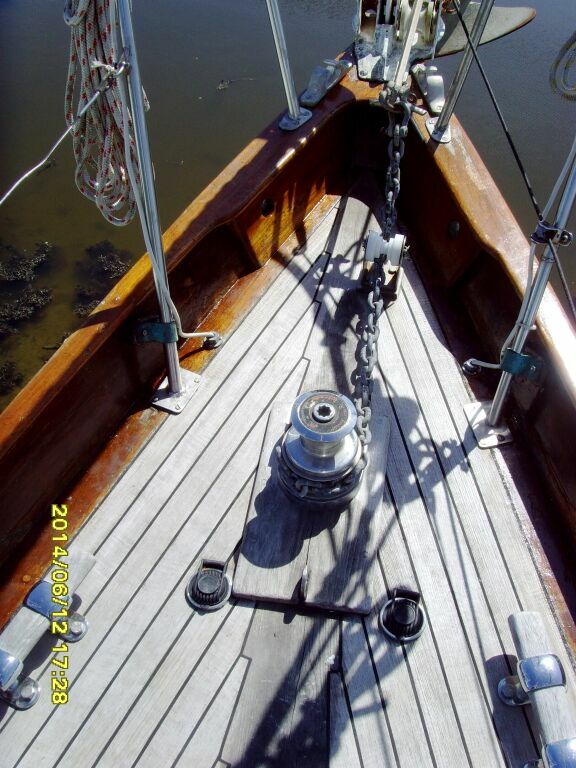 Swept teak laid deck bonded to a marine-ply sub-deck. 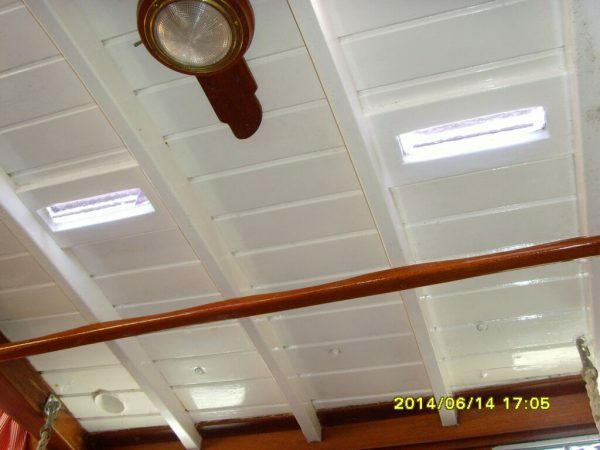 Cast iron ballast keel. 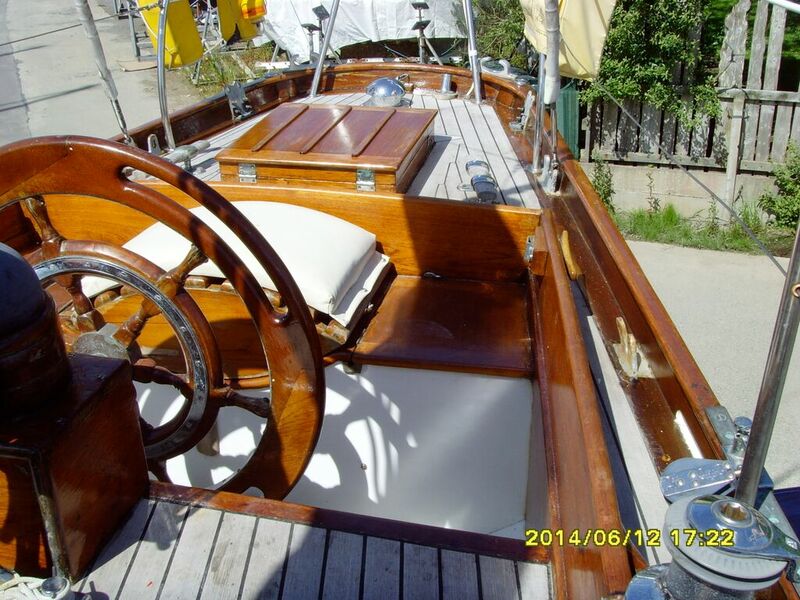 Solid teak cockpit and coachroof coamings. Varnished teak hatches, cockpit, toe-rails and hand-rails. 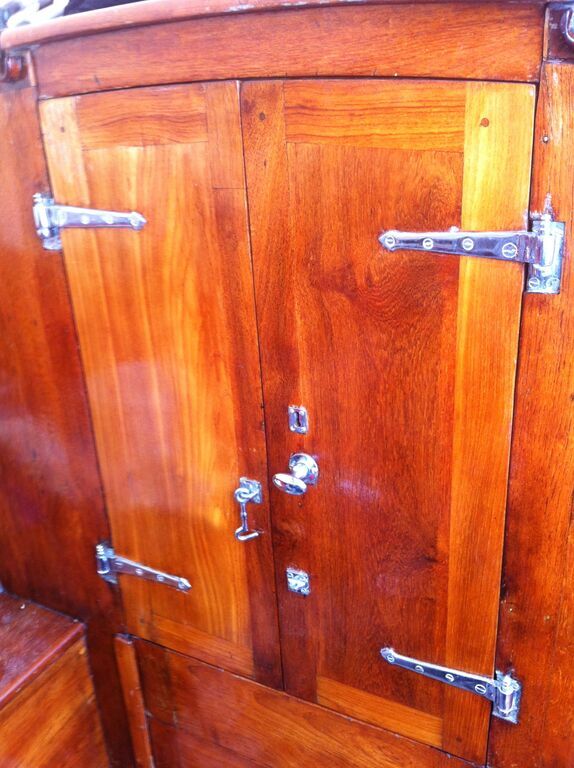 Chrome portholes. 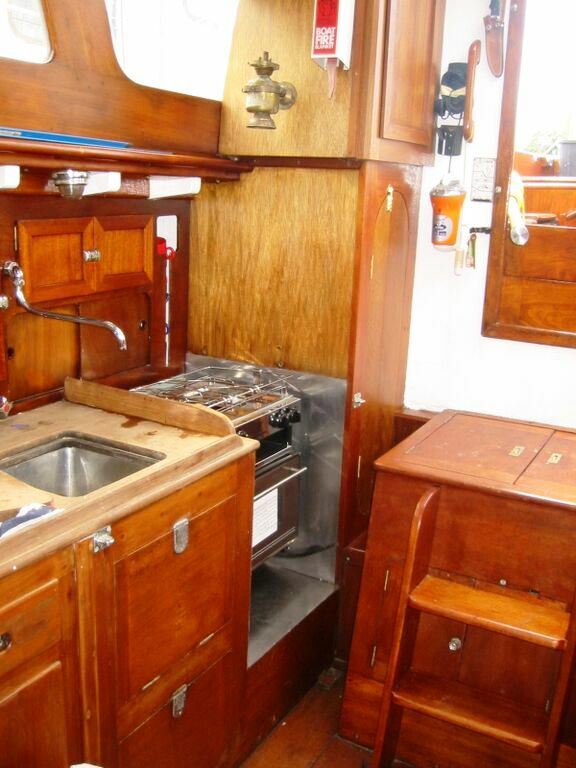 Traditional accommodation for five with teak and mahogany joinery. 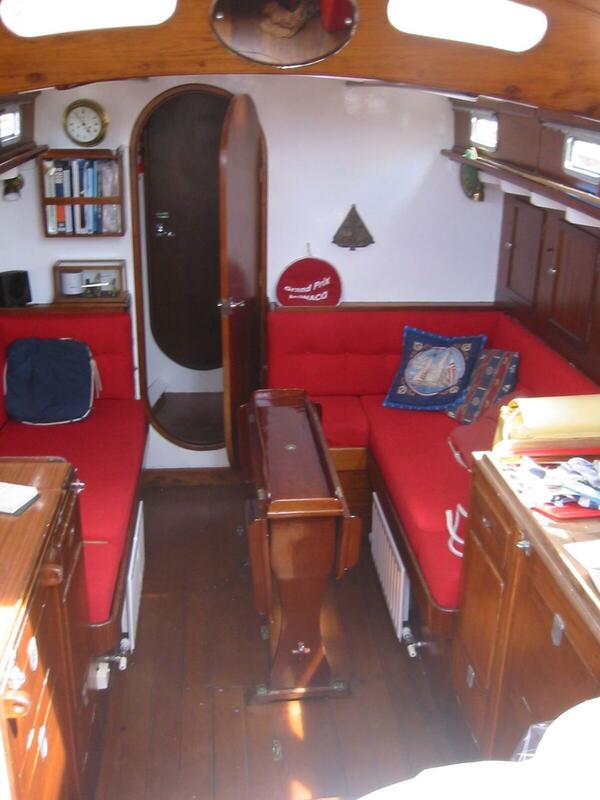 Saloon with port and starboard settee berths with new upholstery in 2005. Port side quarter berth. 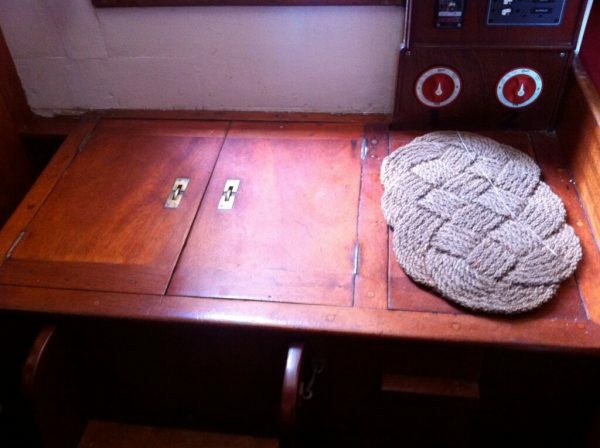 Centre-line drop-leaf cabin table. Original panelled lockers, chart table with chart drawers. 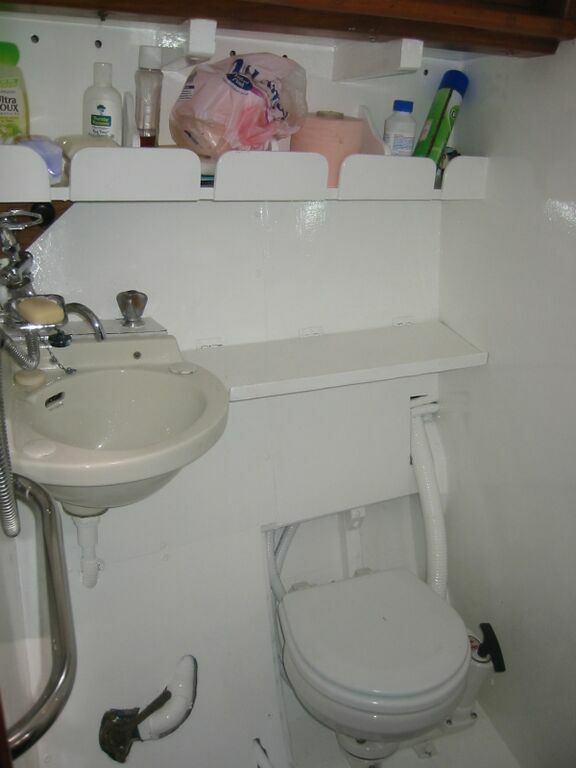 Heads Compartment with Headmate WC, shower and wash-basin. 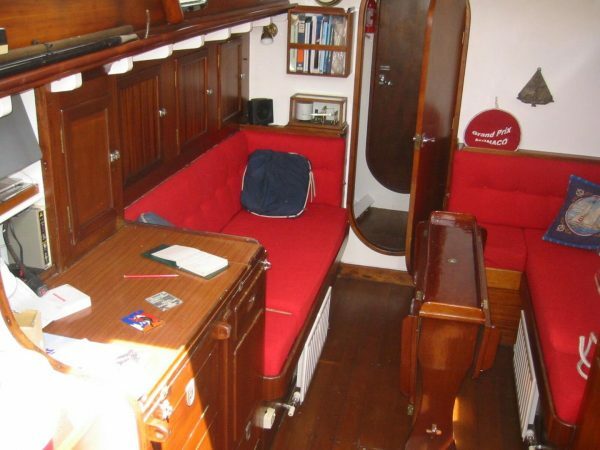 Fore Cabin with ‘V’ double berth. Chain locker. Aft cockpit with wheel steering. 35hp Yanmar 3HM35 Diesel Engine, overhauled in 2010. New engine beds and mounting, starter, alternator, fuel system and water pump. New hoses and belts. Fuel consumption 3 litres per hour. 12-volt system with four batteries new 2010. New wiring and switch panel 2005. 50-litre fuel tank plus flexible containers. Two 50 litre fresh water tanks plus flexible 25-litre tank. 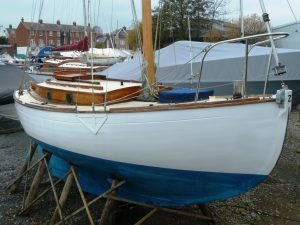 Bermudian Yawl Rig sets about 794 sq. ft. plain sail. Stainless steel standing rigging new in 2000. Stainless steel rigging screws to internal chain-plates. 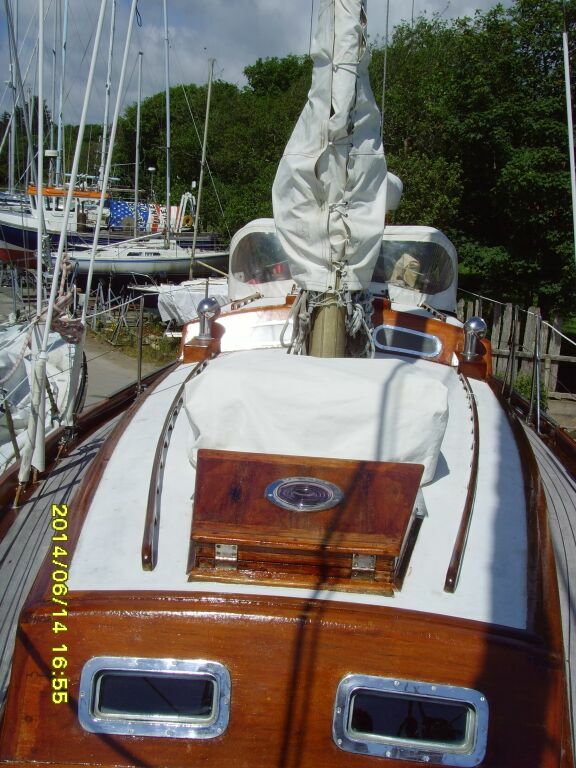 Headsail and main sail new in 2003, yankee, staysail, mizzen, two spinnakers. Sail covers. Compass, log, radar, GPS, Navtex, sounder original RDF, VHF, wind, speed, integrated HiFi / BlueTooth, original Sestral HB compass, search lamp, navigation lights. 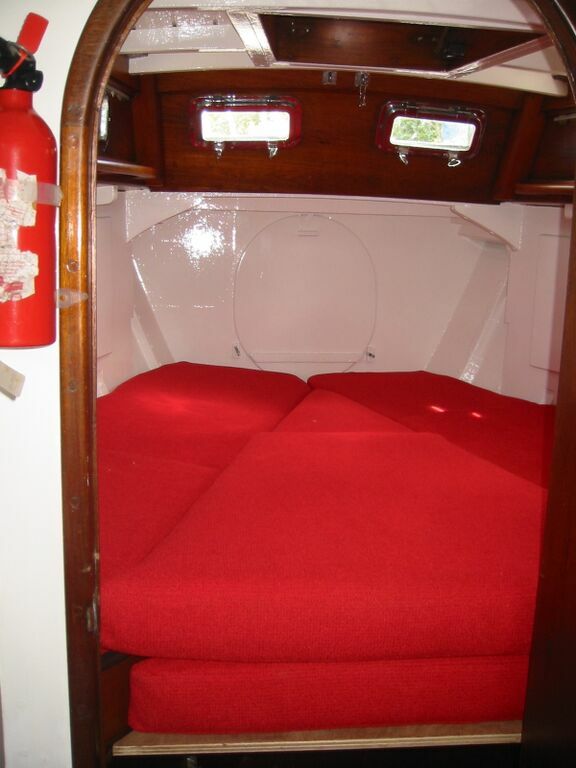 Liferaft (2004) life buoys, safety harnesses, danbuoy, life jackets, MOB recovery gear, boarding ladder, automatic bilge pump, emergency steering. Two boat hooks, fenders, warps. 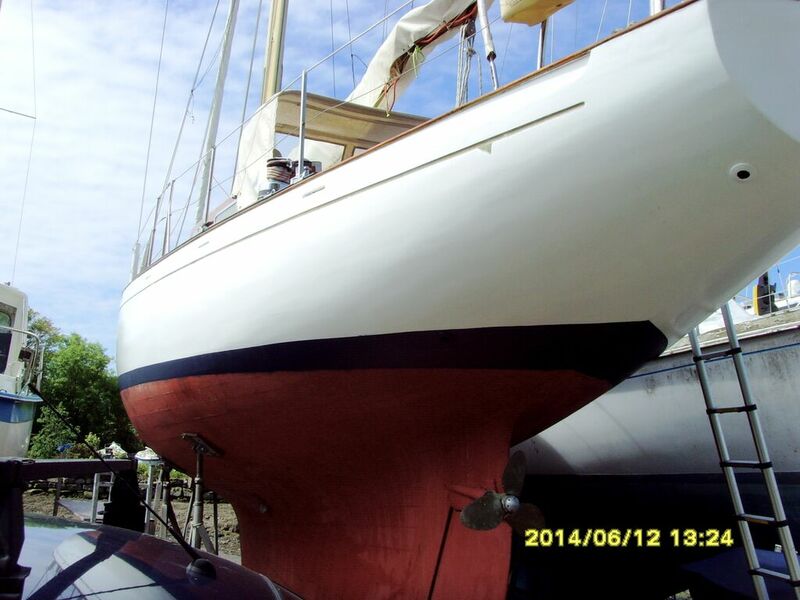 Two anchors, 40m chain, 50m warp, new windlass 2005. 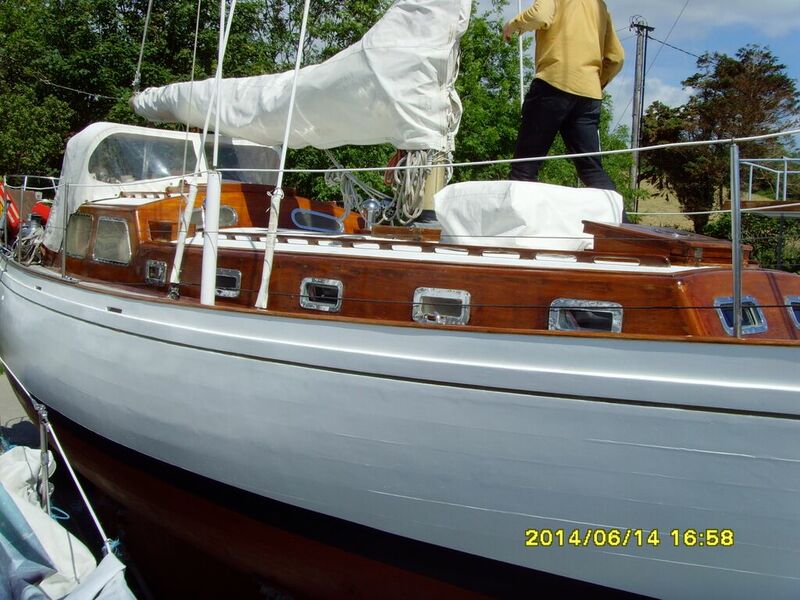 A top quality bespoke cruising yacht from the board of one of Englands finest naval architects. 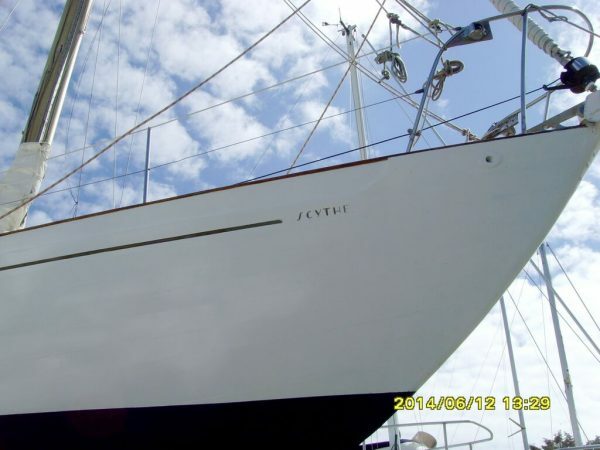 Extremely well maintained and extensively cruised by her current owners. Good November 2014 survey with all recommendations carried out.